Why Do Business Travellers Choose To Stay In Serviced Apartments In London? For business travellers travelling to London, Carlton Court’s serviced apartments in Mayfair are fast becoming the accommodation of choice. With a daily house keeping service and self-catering facilities, our apartments provide the perfect blend of hotel and home. Moreover, renting our 1, 2 or 3 bedroom apartment is the most cost-effective way of staying in London if you are looking for a long term let. Take a look at some more reasons why business travellers love our self-catering flats. Thanks to our dedicated team and many years’ experience of the corporate market, we truly have an understanding of the modern business travellers’ needs. Our competitive nightly rates are lower than hotels and other service blocks. If you are planning on staying for an extended period of time, we would be happy to discuss special tariff rates with you. All of our 1, 2 and 3 bedroom serviced apartments benefit from high-speed Free Wi-Fi in every room. So, whether you have an important business report to finish or wish to relax with Skype video chat or YouTube clips, our super-fast Free Internet will not disappoint you. In our Mayfair serviced aparthotel the space we offer is twice the size of any standard hotel room. Space is something that you never have to worry about when booking any one of our apartments. You can rest assured that there is enough space for both relaxation and work. In fact, our living room is so large that you could even hold a business meeting. In addition to this, our apartments are equipped with fully-fitted kitchens, LCD TV’s, music systems, sofas, dishwashers, washing machines and all the other essentials that you need to live comfortably. At Carlton Court, we pride ourselves in offering our guests home comforts, along with 5-star services such as housekeeping, security and a concierge service. We even provide a complimentary breakfast throughout the duration of stay. 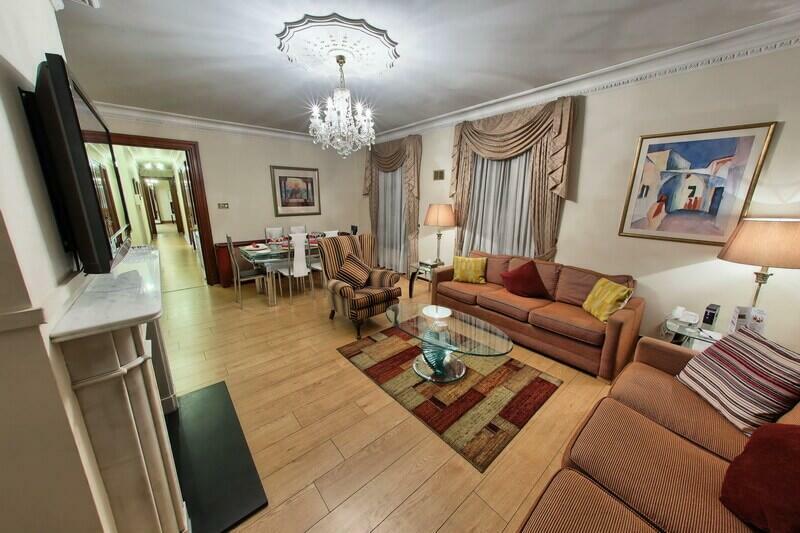 On your next business trip to London, why not consider renting one of our apartments. We guarantee to make your stay truly special. For more details, contact us today.